The Progressive Music Awards 2017 returns for the sixth year this autumn. The event will be held on 14 September at the Underglobe in London. This year, the annual ceremony will include nine new categories all created with the aim of exploring prog’s growing impact in the world of music and culture over the last 12 months. 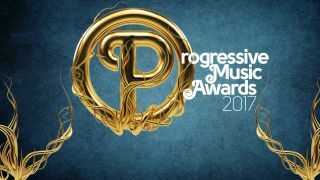 You can cast your votes via the Prog website at www.progmagazine.com/awards. Opeth lead this year’s charge with four nominations, for Video Of The Year, Album Cover Of The Year, International Band/Artist and Album Of The Year for last year’s Sorceress. The Swedish prog rockers picked up the Best Band gong in 2015. Other previous award winners also return to the list of nominees. Among them are Big Big Train – can they match last year’s hat-trick of awards this year? They’re up for awards in three categories including Album Of The Year and Album Cover Of The Year. Marillion are also up for another three categories – their popular Marillion Weekends are up for voting in the Event Of The Year category. They last won Live Event in 2015, but can they beat the tough competition to scoop it in 2017? New categories in the reader voted section include Video Of The Year, Album Cover Of The Year and Reissue Of The Year. The popular Band/Artist Of The Year category has now been divided into International Band/Artist and UK Band/Artist to reflect the popularity of progressive music around the world. Event Of The Year has been extended beyond live concerts and festivals with the aim of showcasing prog’s renewed popularity in popular culture. Included among this year’s nominees are Yes’ induction to the Rock And Roll Hall Of Fame, the V&A’s popular Pink Floyd exhibition and the BBC’s tribute to satirical prog god, Brian Pern. The Progressive Music Awards doesn’t just pay tribute to established acts. This year, the nominees in the reader voted categories have been carefully selected on reflect the diversity of music now being made by newer artists as well. This includes the popular Limelight Award which was specifically created to honour the up-and-coming bands and acts profiled in the magazine section of the same name. Ten new names are up for selection this year, including Ghost Community, Kaprekar’s Constant, Beatrix Players and Kepler Ten. Elsewhere, the new Industry VIP has been added to the magazine voted categories. This pays tribute to those working behind the scenes who might not always get the credit they deserve. Meanwhile, the Chris Squire Virtuoso Award will return for another year, along with the coveted Prog God, won of course last year by Jon Anderson. Who will be awarded the very highest prog accolade? All will be revealed at the ceremony on September 14. Vote for your favourites from the full lost of nominations at www.progmagazine.com/awards.